The Organizing Committee will offer free hospitality starting on Friday 25th October (lunch) until Monday 4th November (breakfast), for all qualified teams. 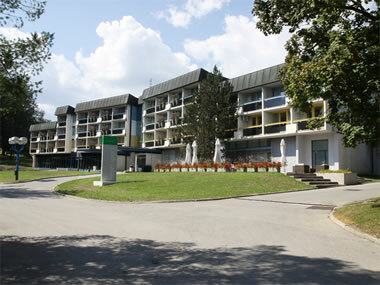 Participants will be welcomed at Ljubljana Joze Pucnik Airport (LJU). Hospitality for teams is provided on the basis of 5 twin rooms (4 boys, 4 girls, two coaches) and one single room (team manager). If a team wishes to have an extra room to split their two official coaches, there will be an additional charge of € (EUR) 30 per day. Additional people travelling with the team or additional days of the official delegations must pay directly to the organizers. If there are any changes or additions there will be additional costs. Hospitality: Accommodation at the official hotel and three meals at the venue + accreditation and airport/hotel transport (full hospitality package) is offered at the price of € 85 for a single room / € 70 for a double room (per day) for a maximum of two rooms/four persons per World Cadet Challenge Team. If a team sends additional persons, they are considered “Other persons in the delegation” and the rate of EUR€ 95 for a single room and EUR€ 80 for a double room (per day) will be applied, based on availability. Note: The hotel will not handle any reservations. Please contact the Organizing Committee.